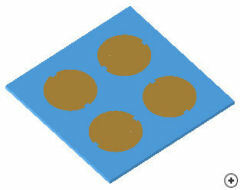 Image of the Sequentially rotated 2x2 circular patch array. This antenna is used in applications where polarisation purity is very important. 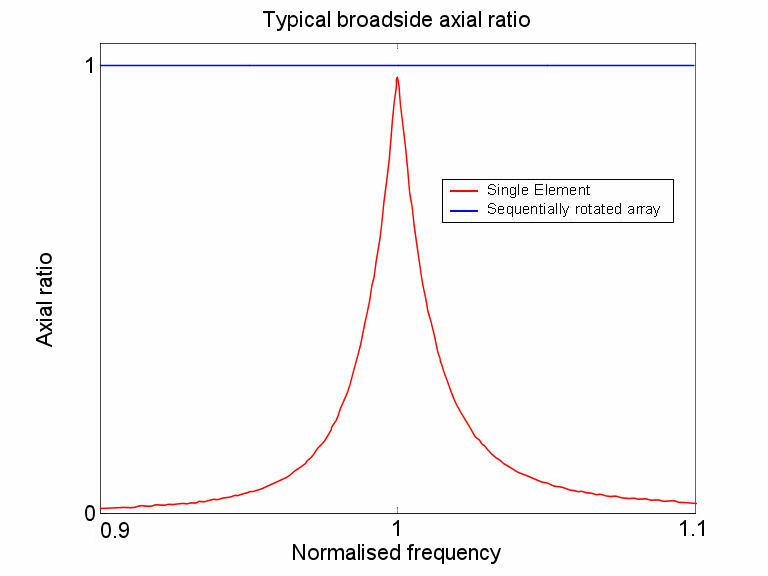 The notched circular patch and other circularly polarised antennas tend to suffer from high cross-polarisation levels, especially away from resonance and off broadside. 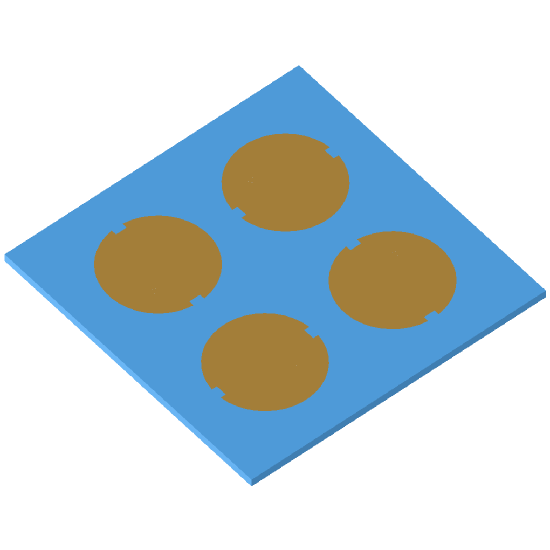 This antenna improves the axial ratio properties of the notched patch by putting 4 of these elements into a sequentially rotated array. Each element is physically rotated with respect to the others and fed with a pin and an appropriate phase delay. 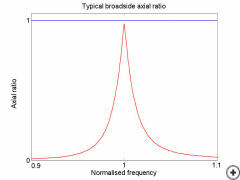 This graph shows a comparison of the axial ratio purity (broadside versus frequency), between this antenna (blue line) and the single notched element (red line).